If you've followed my blog for a little while now, then you will know that I am a fan of a matching co-ord. There's something about the matchy-matchy combo that I just can't seem to get enough of. 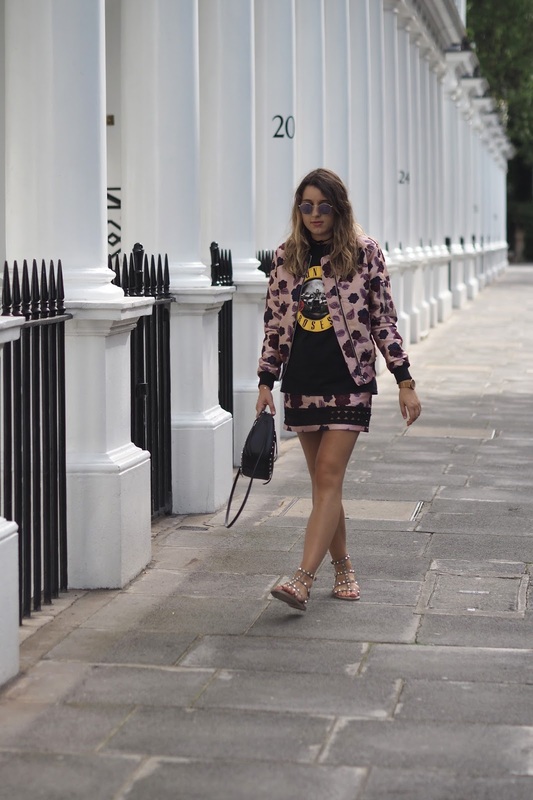 With that said, a floral combo can be extremely girly especially when you've got double the amount of print. It needs in my opinion to be dressed down and given an edge. Not only to match my style but to defeminise this outfit. 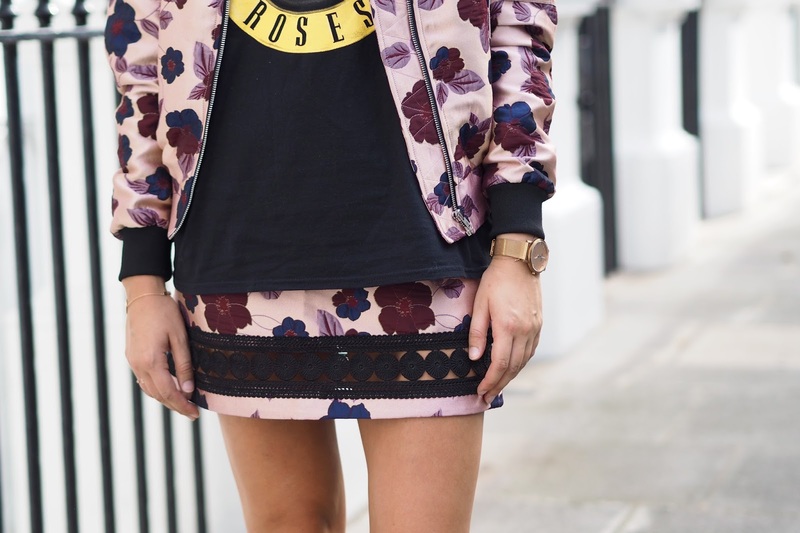 This is what I have done in today's post quite simply by pairing this floral co-ord with a band tee. Very rocknrolla if you ask me. 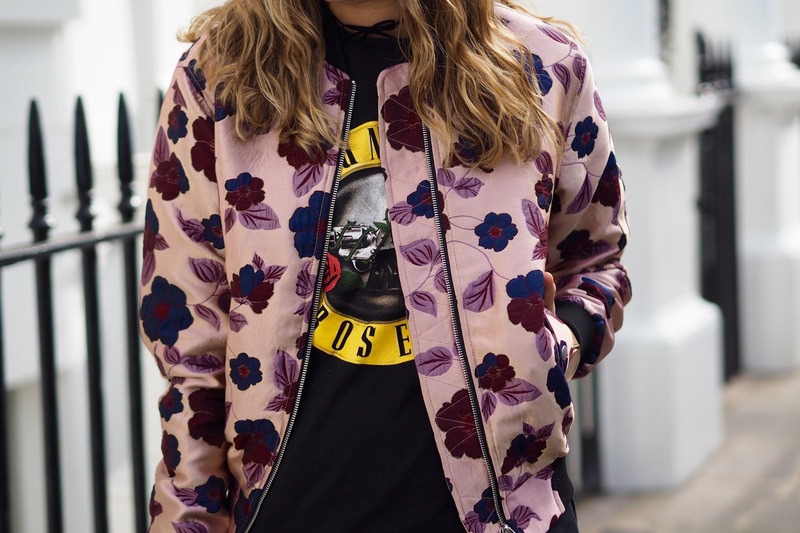 Oriental style prints are set to be huge for AW16 and I am absolutely loving the brocade florals in this outfit. 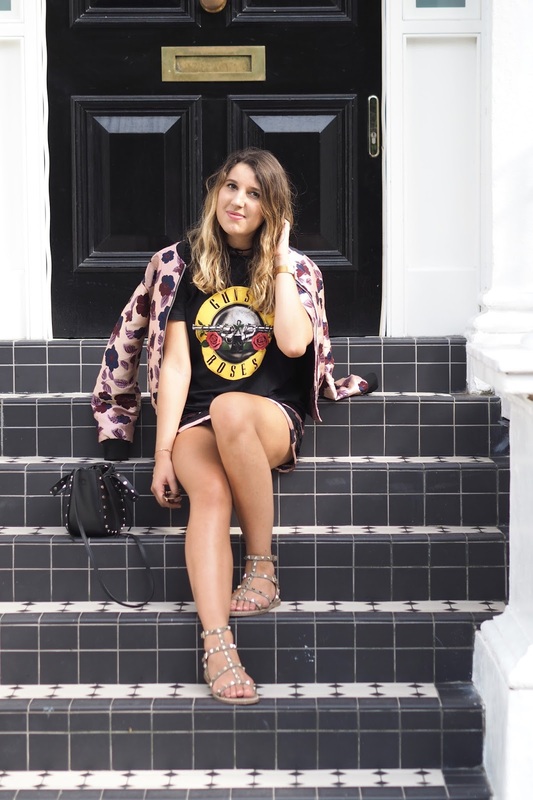 Whilst I'm not wishing summer away or anything, I have started to think about my transitional wardrobe pieces. Not only do I love that you can wear this brocade jacket and skirt together but also separately to jazz up the more simple pieces in your wardrobe. Dressed down with black skinny jeans and a tee or paired with your favourite LBD this matching floral set is definitely a keeper, and I can't wait to get more wear out of it over the coming months.